This listing is for the PAINTED DESIGN ONLY. You purchase your TOMS and have them shipped to me. I will paint them and ship them back to you. 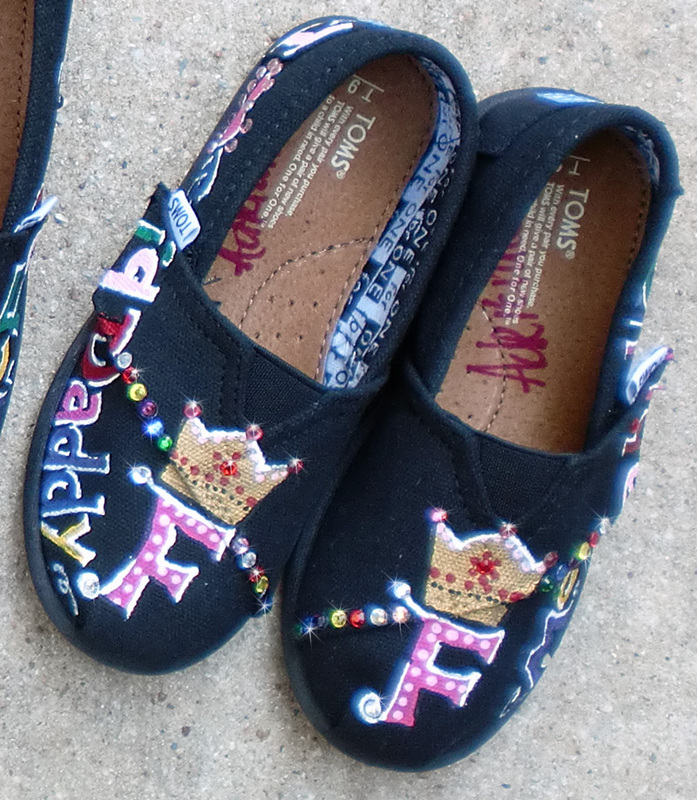 This design is personalized with the initial you would like under the crown and a nickname you would like written down the outer side of the shoe. This price is for the DESIGN only. You purchase the shoes on the TOMS website and have them shipped to me and I will paint them and ship them back to you.